A cardboard tube with 12 coloured pencils and a translucent plastic cap with a built in pencil sharpener. 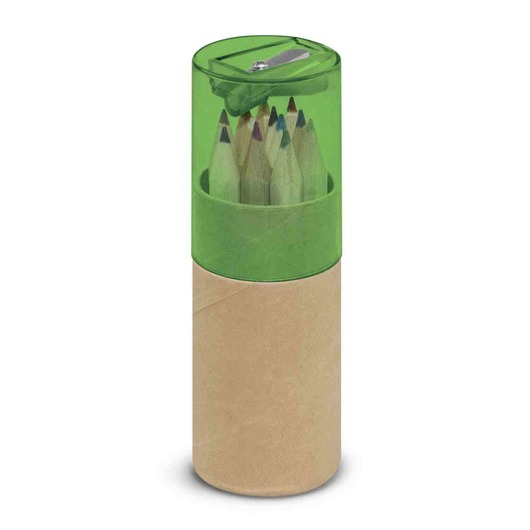 Keeping all of your coloured pencils in one easy to store and organise unbleached cardboard tube. 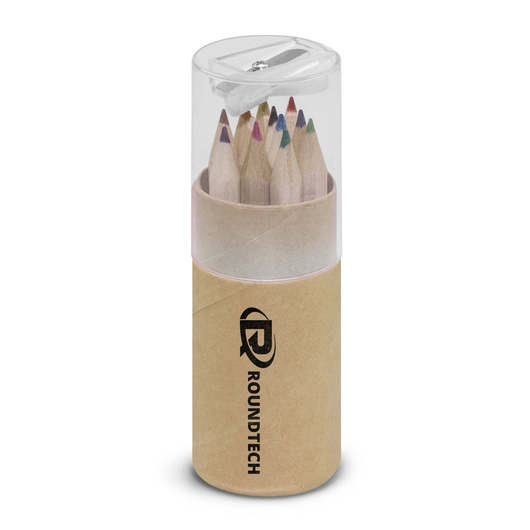 With the increase in popularity of colouring books both among kids but adults too, colouring pencils have becoming a very popular promotional item. 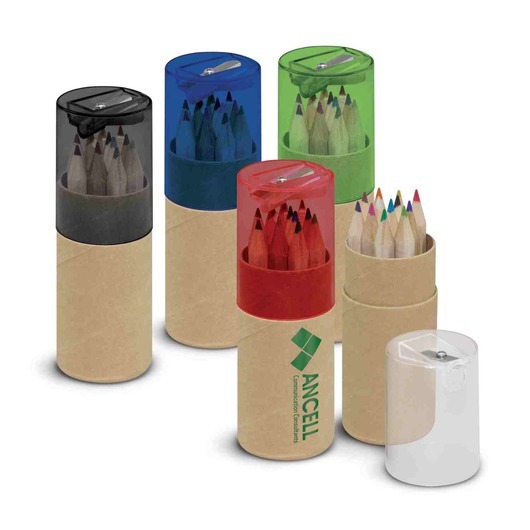 These packs include 12 assorted coloured pencils with a translucent cap which also features a handy built in pencil sharpener. 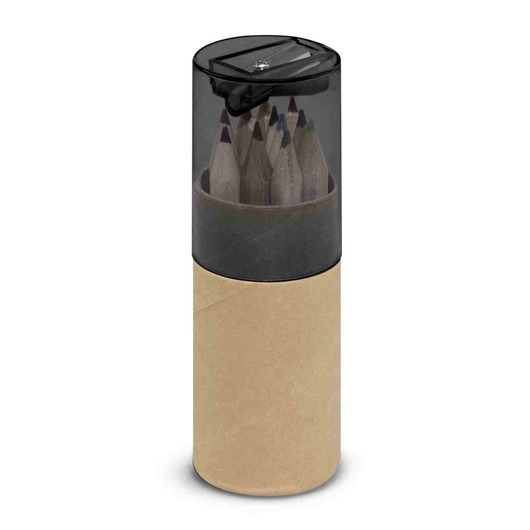 A great giveaway item for all ages!